Industrial structures, often as huge as a large plant, could be retrofitted and strengthened effectively, using FRP products. Largest industries that can make beneficial use from the variety of Fiber Reinforced Polymer (FRP) repair and strengthening solutions are nuclear, coal or fossil, natural gas, and hydroelectric power plants. The repairs in these structures are performed during scheduled shutdowns oftenly because time is at a crucial factor. FRP products can provide economical, long-lasting repairs that can be installed within the short window of time available during a typical power plant shutdown. 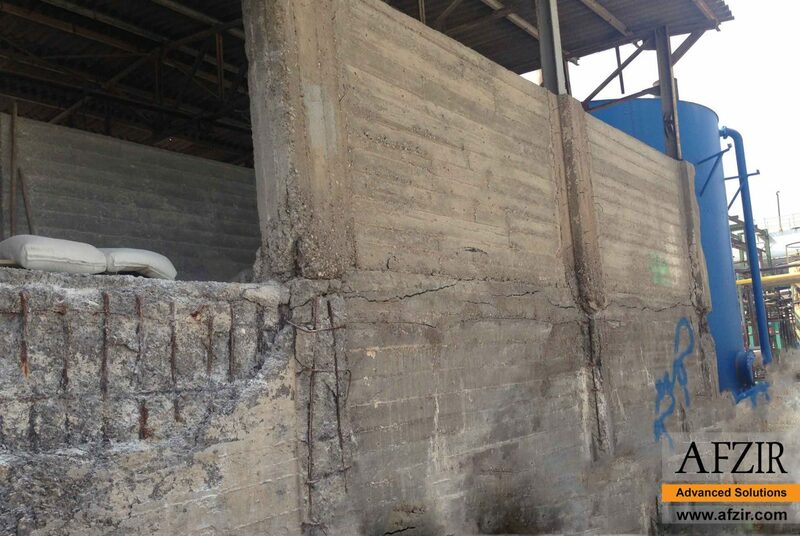 Our engineered FRP solutions offer fast, long-lasting and economical repair alternatives to owners, architect/engineers and contractors involved with power plants to ensure the project is completed on time, within budget and with minimum disruption of service. Repair of corrosion damaged columns, floors, stairways, etc. Repair and strengthening of mountaintop and/or remote structures such as cracked concrete foundations, transmission lines, etc. In most cases, Afzir engineers can provide a complete “turnkey” design-build solution that includes sealed engineering drawings by our in-house engineers, all of the materials needed, and installation by one of our approved and certified installers. Our construction company is fully trained and compliant with the safety regulations in power plants. This unique turnkey design-build approach results in significant efficiency, time and cost-savings, and minimizes the potential errors and delays that can result when multiple groups are involved in one project. Afzir also welcomes the opportunity to partner with owners, architects, engineers and contractors by providing any single aspect of the project, i.e., design, materials, or installation for a specific project. Chemical processing plants have to deal with a lot of corrosive chemicals. Consequently the chemicals would spill on the floors, columns, walls of tanks, etc. and take the responsibility of corrosion of these elements. Many of these chemical processing plants perform these repairs during scheduled shutdowns where time is at a premium. 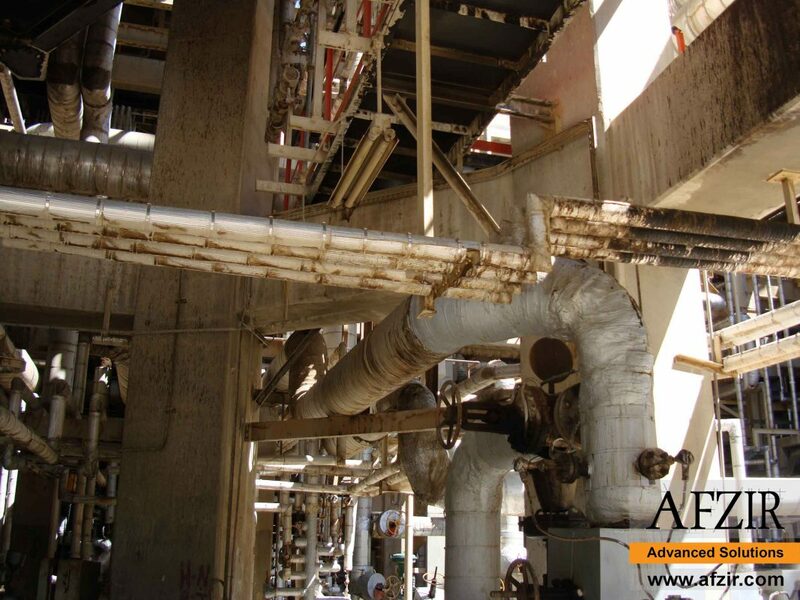 Afzir engineered Fiber Reinforced Polymer (FRP) solutions offer fast, long-lasting and economical repair alternatives to owners, architect/engineers and contractors involved with chemical processing plants to ensure the project is completed on time, within budget and with minimum disruption of service. These systems are particularly ideal when the repairs have to be completed in a short shutdown time frame. The chemicals being processed in refineries and petrochemical plants are corrosive oftenly. These chemicals spill on the floors, columns, walls of tanks, etc. and consequently lead to corrosion of these elements. Many of these refineries or petrochemical plants perform these repairs during scheduled shutdowns where time is at a premium. 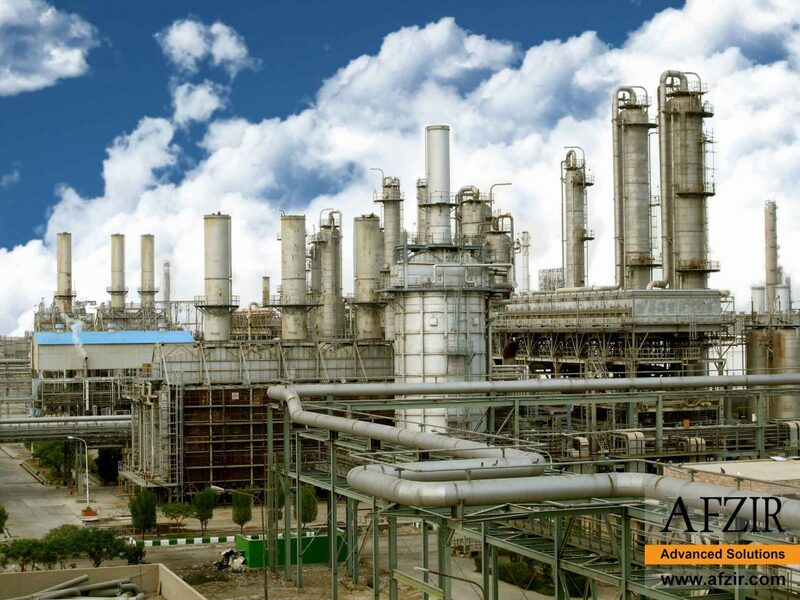 Our engineered Fiber Reinforced Polymer (FRP) solutions offer fast, long-lasting and economical repair alternatives to owners, architect/engineers and contractors involved with refineries and petrochemical plants to ensure the project is completed on time, within budget and with minimum disruption of service. These systems are particularly ideal when the repairs have to be completed in a short shutdown time frame. In most cases, Afzir engineers can provide a complete “turnkey” design-build solution that includes sealed engineering drawings by our in-house engineers, all of the materials needed, and installation by one of our approved and certified installers. Our construction company is fully trained and compliant with the safety regulations in Chemical processing and other industrial plants. This unique turnkey design-build approach results in significant efficiency, time and cost-savings, and minimizes the potential errors and delays that can result when multiple groups are involved in one project. The plants of food and beverage processing deal with a lot of fluids that are corrosive to varying degrees and cause significant corrosion in these facilities. Even the fumes from some of the acids contained in fruit juices, for example, are strong enough to cause corrosion in steel over time. splitting of these chemicals spill the floor causes corrosion in structural elements. These systems are particularly ideal when the repairs have to be completed in a short shutdown time frame. When structures fail or are in jeopardy of failing, finding a fast, trusted, and economical solution is preferred by all involved. 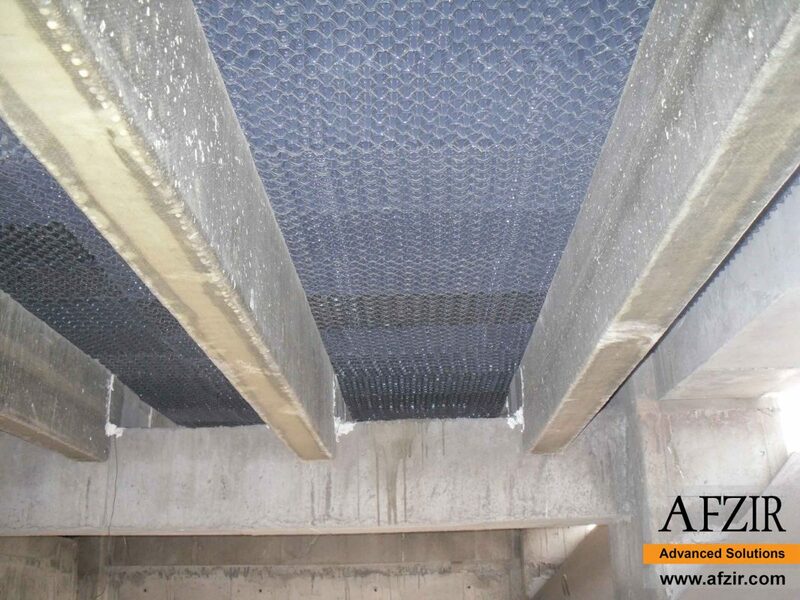 Fortunately for specifying engineers, Afzir has spent over 20 years pioneering advanced construction technologies utilizing Fiber Reinforced Polymer (FRP) products. Our FRP products systems have been selected to rehabilitate and retrofit infrastructures worldwide, with award-winning results. Applications include: buildings, walls, beams, roofs, columns, piles, bridges, utility poles, cellular towers, pipes, culverts, tunnels, chimneys, smokestacks, tanks, and more. Our solutions are faster and more economical than traditional repair methods, because our products are exceptionally strong, versatile, light-weight, durable, and work equally well on concrete, masonry, steel, and timber. In short, Afzir provides the savings, speed, versatility, and durability owners, engineers, and contractors need to repair and strengthen vital infrastructures on time and within budget. When structures fail or are in jeopardy of failing, finding a fast, trusted, and economical solution is preferred by all involved. Fortunately for specifying engineers, Afzir has spent over 20 years pioneering advanced construction technologies utilizing Fiber Reinforced Polymer (FRP) products. Our FRP products systems have been selected to rehabilitate and retrofit infrastructures worldwide, with award-winning results. Applications include: buildings, walls, beams, roofs, columns, piles, bridges, utility poles, cellular towers, pipes, culverts, tunnels, chimneys, smokestacks, tanks, and more! Our solutions are faster and more economical than traditional repair methods, because our products are exceptionally strong, versatile, light-weight, durable, and work equally well on concrete, masonry, steel, and timber.